With his recent book Being Elvis: A Lonely Life, veteran British journalist Ray Connolly offered a rare glimpse behind the King of Rock n’ Roll’s dizzying highs and soul-crushing lows. His latest work, entitled Being John Lennon: A Restless Life, affords the Beatles legend with a similar treatment, reminding us about the powerful, always wavering spirit behind the Fab Four. In many ways, Connolly’s portrait of Lennon might just as easily have been subtitled as “An Unfinished Life,” given the all-too-brief four decades in which this Beatle walked the earth. But as Connolly astutely demonstrates, Lennon was perpetually “restless” just the same, parceling out his life in ever-changing fashion, shifting his perspective from one day to the next, invariably never quite satisfied, always chasing after that elusive Next Big Thing. As he mines the nature of his subject’s unsettled and often volatile sense of being, Connolly provides a rendering of Lennon that stays with you long after you turn over the final page. Not surprisingly, Connolly devotes considerable attention to Lennon’s early years as the castoff child of his wayward mother Julia, growing up in the decidedly middle-class environs of his Aunt Mimi and Uncle George’s neighborhood, and disguising himself as the class clown to obscure his inner pain. In perhaps the book’s finest passages, Connolly describes Lennon’s ill-fated final attempt to remake himself yet again — to emerge from his self-imposed five-year sabbatical from music and the world — and come to grips with growing up and growing older. At this juncture, Connolly himself enters the picture. With wife Yoko Ono choreographing the launch of the Double Fantasy album, Lennon and Ono carry out an aggressive marketing blitz. By early December 1980, it’s Connolly’s turn to interview the former Beatle. Invited by Yoko to visit New York City and meet Lennon in the Dakota on Dec. 9, Connolly can hardly conceal his excitement at the prospect of seeing his old friend. Only as history well knows, their reunion simply wasn’t to be. Before he can even board his flight on the morning of the appointed date, the news has been trumpeted around the world: John Lennon, shot dead outside the Dakota, succumbing to his wounds at just 40-years-old. It is the abruptness and finality of the moment that affords Being John Lennon with the book’s greatest poignancy: It took a madman to stop the Beatle’s seemingly ceaseless momentum. At the time of his death, Lennon was clearly on the verge of yet more sociocultural shifts that we’ll never know. With Being John Lennon, Connolly provides a moving glimpse of the gifted singer and songwriter who was never quite satisfied with the sound of his own voice, the person who was always striving for something better — more powerful and more meaningful just beyond the horizon. “For John, the vision was always better than the reality,” Beatles producer George Martin wrote. “Everything inside him was greater than its expression in the outside world. That was his life.” With Being John Lennon, Connolly delivers a nuanced portrait of the former Beatle that leaves the reader — as with Lennon’s life itself — wanting more. 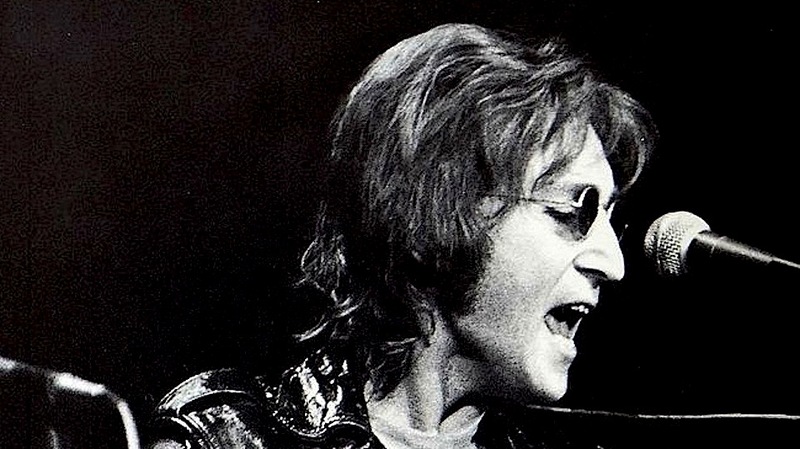 Photo Credit: Public domain image of John Lennon at John Sinclair Freedom Rally in 1972. A fine review, which seduces to taake another look at the book, or just click on the ‘buy’ button. The only aspect that prevents me from going forward is that I don’t want to read another story/book that finds origin of Lennon’s art in his biography, e.g. almost parentless upbringing and pain.